Villa Fiorita v Siena, Itálie: Zarezervujte nyní! 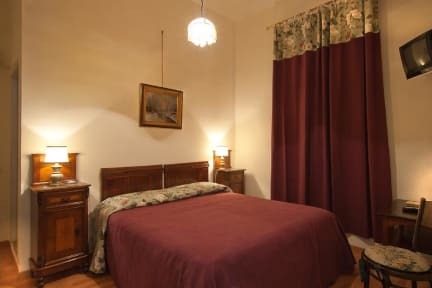 At Villa Fiorita guests are greeted by comfortable bedrooms having doors marked with the name of a flower. In the back of the house there is a romantic Italian garden where you can relax. Villa Fiorita is located at the north of the city in the “ Francigena” route from Florence to Siena. We are 500 meters away to the beginning of the city walls, 1600 to Piazza del Camnpo and the cathedral. All rooms have private bathrooms, air conditioning and TV. The WiFi is free. 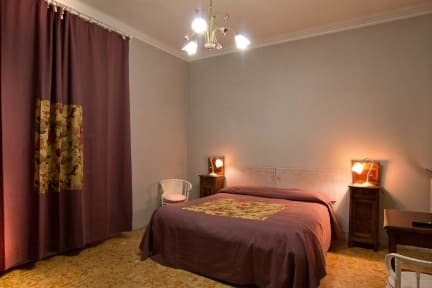 The rooms are situated on the first and the second floors, while on the ground floor there is a private family house belonging to the owner.